Hello - I hope this note finds you well and keeping warm! Over the last months, the mantra "there is always, always, always something to be thankful for" has come up many times and, maybe it's age, but it seems to hit home more for me than it ever has. While we don't need a season to be grateful, please allow me this moment to express my gratitude for a wonderful life full of everything. 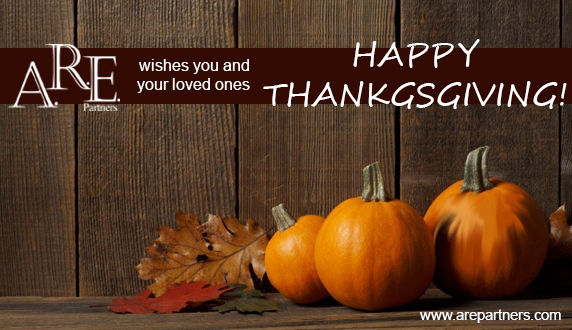 Wishing you and your loved ones a very Happy Thanksgiving and all the best throughout the year.